The ATAP team not only gave us a tour of the latest in Project Ara happenings, but they showed off an amazing Project Soli smartwatch concept, and told us when to expect the first consumer clothing item with embedded Project Jacquard. Through a partnership with Levi’s, we’ll all be able to buy a new jacket that is outfitted with Jacquard technologies within the next year. 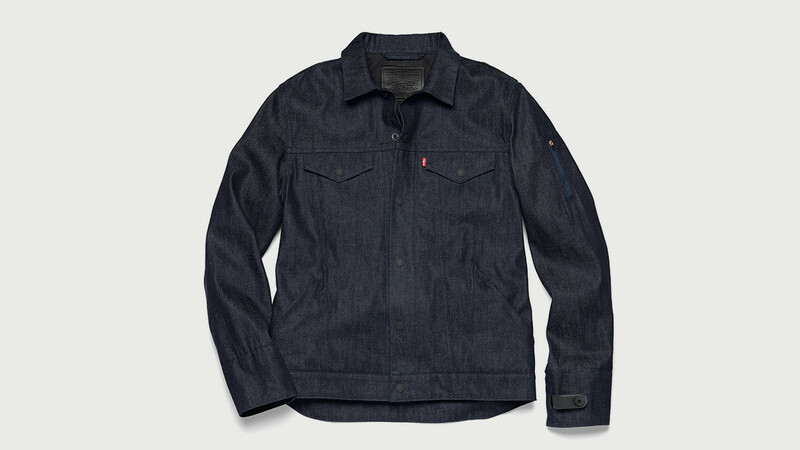 The jacket is called the Commuter Trucker jacket and it was designed for city bike commuters, or those who just want a sweet new denim jacket with some tech inside. Not familiar with Jacquard? It was first unveiled at Google I/O last year as a fabric that was weaved with technology, so that you could touch it or swipe gestures across it to perform tasks through a smartphone or other device. Think about swiping across your pants to change music tracks, answer a call, etc. It took some time for them to get the weave perfected for this denim jacket, but they have reached the point where they are ready to start production, again, only a year after they first showed off the concept. Below, you can see the dongle-esque (or “smart tag”) device that powers the weave, along with the subtle weaved pattern that you can touch. 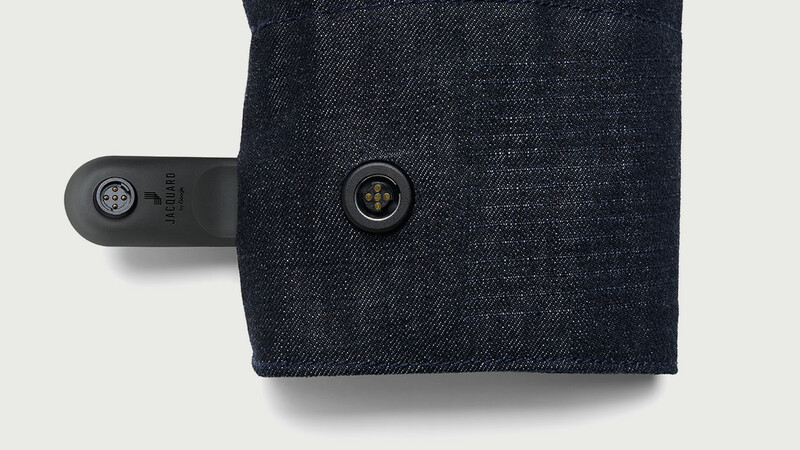 That smart tag can be removed when you are ready to wash your jacket. I don’t know that they have specifically mentioned this, but that smart tag likely has Bluetooth and a battery which connects to your phone to make the magic happen. This is only the first of what could be many articles of clothing to adopt Jacquard. But for now, you can see how close the future is and how smart everything in our lives has become. In these couple of clips, you will get to see how they make the denim for this jacket with Jacquard embedded and also what it could be like for a biker commuter to use the jacket during daily rides. Poll: Will You Buy a Chromebook Once They Get Android Apps?